Are you using Pinterest? If not, you definitely should be. And if you are, is your account optimized? 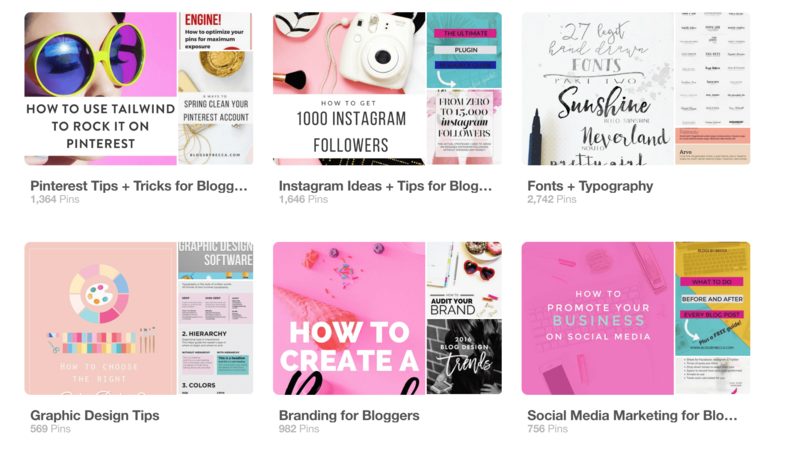 Pinterest can be an amazing traffic source for your blog, BUT there are some very specific things that you need to do to set up and optimize your account for growth. You can get more followers, more traffic, more clicks, and more repins. But you've got to have the right strategy. 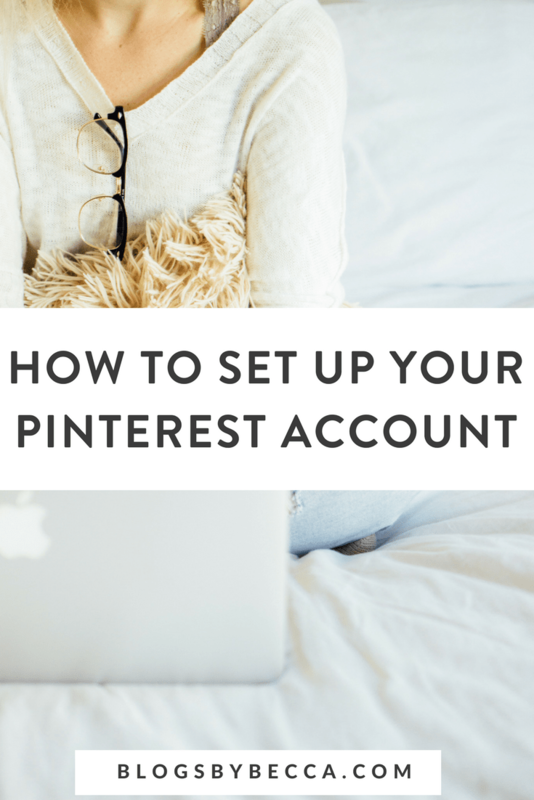 So let's talk about how to set up your Pinterest account. This guide will show you exactly how to set up your account for maximum growth. Plus, I'll show you my top tool for automating my Pinterest. It saves me SO much time, and it helps grow my account every day. When you sign up for your account, make sure that you are signing up for a business account, not a personal account. This is free to do, so no reason not to do it. It has a few benefits. It gives you access to analytics (which can be very helpful), it lets you put your blog link in your profile, and it allows you to set up rich pins. Rich pins basically add metadata to the pins from your blog. It just adds more info about you and your blog to the pin, making it easier to identify your pins with your site. You definitely want rich pins. Pinterest has a good article on how to set them up right here. You'll also need to “verify” your website with Pinterest. This involves adding some code to your site. I suggest getting the Pinterest Verify free plugin, which will make it easier. Note, if it still doesn't work, contact Pinterest support and they can probably just take care of it for you. You'll need to set up a few elements of your profile. Second, your profile picture. It should be of you, not of your logo. Third, your description. Describe what you do, and use keywords. You want people to be able to search and find your profile, so keywords are always important in all aspects of Pinterest. Mine says: “I help beginners become bloggers. Blog tips and social media strategy. Free blogging course: blogsbybecca.com/free.” You can add a link, like I have, to some kind of free resource or course (or whatever you want to direct people to). You only get 150 characters for your description, so you're pretty limited in what you can do. So use them wisely. Now you need to set up your boards. Your boards should all relate to your topic/niche. So, if you're a travel blogger, you should not be pinning recipes. You need to stay on brand. And, if you start pinning random stuff, the people that follow you will unfollow you because you're making stuff that is uninteresting to them show up in their feed. If someone follows you, as a travel blogger, it's because they want travel tips, not recipes. Note, if you do want to pin recipes (or whatever), you totally can. But just use a “secret board.” These are boards that will not show up for anyone but you. You can have as many as you want. So, pin whatever you'd like, but do it on a secret board. There's no magical number of boards. I think between 10-20 is good. I have around 20, not counting group boards. You'll want to split up your topic between the boards. So, I don't have one board called “blogging.” I've got “How to Start a Blog,” “Monetizing your Blog,” “Growing Your Email List,” and so on. You'll also want one board that is entirely dedicated to your own pins from your blog. Everything you post should get pinned there. And nothing else, just your own pins. Using keywords is crucial on Pinterest. People need to be able to find your stuff, and that's how they (and Pinterest) do it. Aside from your profile, you also need to use keyword-heavy descriptions for your boards and your pins. If you need help thinking of keywords, use Pinterest's search function. Type in one keyword for your topic, and it will suggest a bunch of others that people commonly search for along with that word. Group boards can be a great way to get your pins seen. A group board is just a board where more than one person pins to it. Some of these boards have literally tens of thousands of followers. So if you join and pin to it, all those people can see your pin, even though they don't follow you. To join, just look in the description for the group. 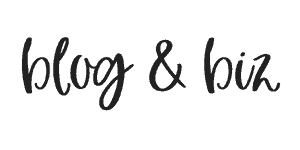 Some are not accepting collaborators, but a lot of them will say something like “To join as a collaborator, follow me and email hello@blogsbybecca.com.” So, shoot that person a short and polite email requesting to join their board. Sometimes you won't hear back, but you will get some responses. To find group boards to join, you can use Pin Groupie. Pin Groupe is a site that lists all group boards and sorts them by a bunch of different categories so you can find ones in your niche with lots of repins. Every blog post needs to have its own dedicated pinable graphic. You don't just want to pin any random picture from your post. It needs to be a graphic specifically optimized for Pinterest. Pinterest itself will obviously give you a million examples of how they should look. There's no one magic formula, but you want to use good colors and fonts, and make your blog post title clear and easy to read. To create these, you can use a tool like Photoshop, if you're skilled like that. But if you're not (and I'm not), use Canva. Canva is a free tool for designing stuff exactly like this. And it's SO easy to use. Plus, it automatically sizes stuff for you, so you don't have to worry about making it the right size. I've got a whole article on Canva right here. You should be pinning every one of your own blog posts. Pin it to your dedicated board, but also to as many other of your boards as it's relevant to. And pin it to group boards. You want to get it out there. Make sure that your pin has a description with lots of keywords. To set the description automatically, when you insert your image into your blog post, use the Alt Text field to insert your description. This is important because it will ensure that every time someone pins that image, that same description will show up. You want your own keyword-heavy description in every pin. People can change the description if they want, but very few will do so. Plus, you should be using Alt Text for SEO anyway. Aside from your own content, you also want to be pinning other people's content. Just peruse your smart feed and pin away. Keep it on topic, and make sure you're pinning to the relevant board. Note: The links in this section are affiliate links. This means that if you click and sign up, I get a small commission. There is zero extra cost to you, but it helps me fund my blog. I appreciate your support! I highly suggesting using a Pinterest automation tool. There are two main ones, BoardBooster or Tailwind. I use both. BoardBooster does a few things for you. First, it pins on a set schedule. You pin as much as you want, without actually pinning. Then, BoardBooster will take those pins and actually pin them on a set schedule throughout the day. Second, it loops your pins. So, it repins everything on your boards on a set schedule. So old pins get picked up again. Third, it pins to group boards. You can tell it to pin 3 random pins per day (or whatever) from your dedicated blog board to all your group boards. Fourth, it gives you analytics. Fifth, it has the “pin doctor” feature. This will go through all your pins and find ones with broken links or other problems. Pinterest penalizes you for stuff like this, so it's important to get rid of them. BoardBooster saves SO much time. And it really grows your account because you can be pinning so much, without actually doing anything. I pin about 40 pins a day through BoardBooster. But I only spend a few minutes a day actually pinning things. BoardBooster does the rest. Deep breath. That is what you need to do on Pinterest. Honestly, the set up takes a while, but once you're set up, you're golden. It won't take much time on daily basis, and the results can be huge. Tell me about your Pinterest. Are you using these strategies? What kind of growth are you seeing? Let me know in the comments. Mind=blown. I have been an avid Pinterest user since its creation. I doubted the need for it as a humor blogger. You have changed my mind immensely! I am getting organized right NOW! What a great blog! So glad that the post was helpful! Let me know if you have any more questions! Great post! I can’t wait to dig into the keywords for my boards! Thank you!